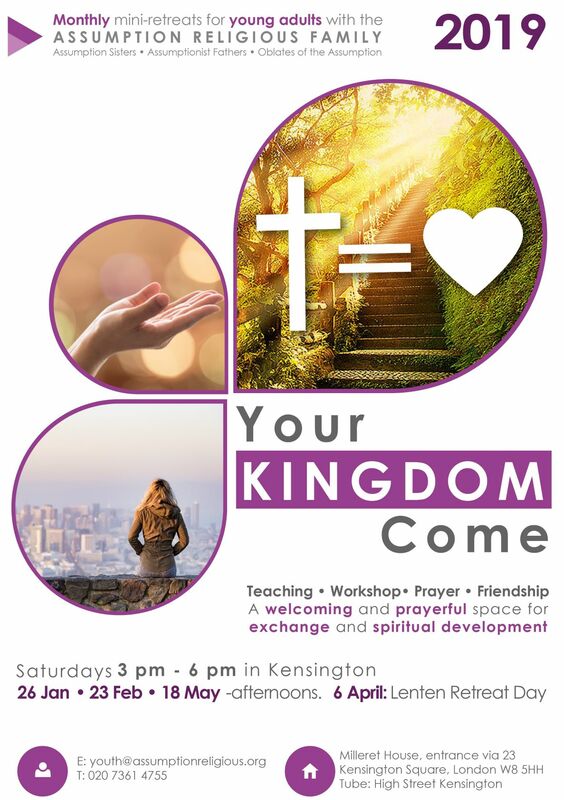 Your KINGDOM Come: monthly mini-retreats for young adults in Kensington. The Assumption Sisters, Fathers and Oblate Sisters invite you for Your KINGDOM Come: an afternoon with Teaching • Workshop • Discussion • Prayer • Fellowship. A welcoming and prayerful space for exchange and spiritual development. Anyone aged 18-30s who wants to grow in her/his relationship with God and with the Assumption is invited to take part. The day includes time for confession, spiritual accompaniment, talks, adoration, mass, faith sharing, prayer and activities. Cost: donations only, lunch is included. 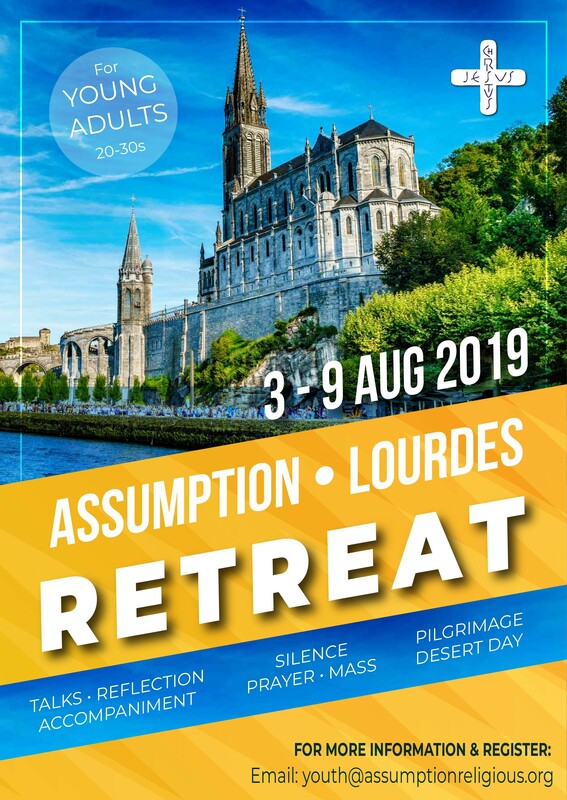 The Assumption Sisters and Fathers invite you to an English-speaking spiritual retreat in Lourdes, France in the summer of 2019. Dates: Saturday 3rd August - Friday 9th August 2019. The retreat is for young adults in their 20-30s. The programme will include talks, prayer, mass, silence, reflection, pilgrimage, desert day and spiritual accompaniment.